Hugo Chávez has a military background. As a military officer he is trained in discipline and taking and giving orders. His foreign policy records show that he is no diplomat. Sitting in the presidential seat he would like more to give orders than to listen to good advice. According to Salvador Navarrete, one of his former personal physicians, Chávez has been treated several times in the past for bipolar disorder, a mental disease that caused symptoms of mania, hyperactivity, depression and episodes of loss of contact with reality. Chávez is a hard worker and works late into the night. He gets up at six-thirty or seven o'clock, with an average sleep of three or four hours a day, he drinks lots of coffee and he smokes under pressure. On the eve of the 2002 coup attempt, Chávez became very distressed and suffered from intense pressure and physical exhaustion. The 2002 coup attempt against Chávez and the 2003 US invasion of Iraq made Chávez very suspicious. He felt threatened and thought the US could overthrow him for Venezuelan Oil any time. Chávez made himself a caudillo, a strong and populist leader model that has always been very successful in Latin America. He adopted Simon Bolívar as his role model. It seems his goal was to liberate South- and Central-America from capitalism as Bolívar did from Spanish dominion at the time. Chávez' first attempt at launching a political movement came in 1977, when he formed the Ejército de Liberación del Pueblo de Venezuela, or ELPV. As a military lieutenant and After becoming dissatisfied with the Venezuelan political system, he founded the secretive Movimiento Bolivariano Revolucionario 200 (MBR-200) in 1982 to work towards overthrowing it. MBR-200 evolved into the Movimiento V [Quinta] República (MVR), set up in July 1997 to support Hugo Chávez' candidacy in the Venezuelan presidential election, 1998. The party was committed to the Bolivarian Revolution and claimed to be the political voice of the country's poor. Chávez who attempted a coup in February 1992 himself and - while imprisoned - was involved in another unsuccessful coup attempt in November 1992, won the 1998 presidential elections with 56.2% of the popular vote. MVR merged in 2007 into Partido Socialista Unido de Venezuela (PSUV). From his life as a cadet (1971-1975) on, Chávez' mission became to introduce a left-nationalist doctrine that was dubbed Bolivarianismo and implement it by means of a Revolución Bolivariana in Venezuela. Already during his cadet life he was inspired by Panama's leader, Omar Torrijo and others like Chile's Salvador Allende, Colombia's Jorge Eliécer Gaitán and Cuba's Fidel Castro. The Bolivarian Revolution under Chávez has also refocused Venezuelan foreign policy on Latin American economic and social integration by enacting bilateral trade and reciprocal aid agreements, including his so-called ALBA and PetroCaribe programs which provides cheap oil to poor neighbouring nations. Chávez regularly portrays his movement's objectives as being in intractable conflict with neo-colonialism and neo-liberalism. In 2003 there was an upsurge in the price of oil . The Chávez administration then had the resources that it needed to fund and deploy many national social welfare programs called Bolivarian Missions. However quite a lot of these programs were too ambitious, ran soon out of budget, were badly monitored and controlled, had bad budget control (that is; suffered corruption) or had unforeseen strong negative effects on the economy. The effectiviness of the missions has been questioned by many critics. The missions were often not as effective as the government would like to suggest. The government usually did not provide any real evidence on the effectiveness. According to the Economist 60% of oil revenues are siphoned off into off-budget funds under the president’s personal control. Quite some Bolivarian missions are financed from the Fonden Fund, where approx. 25% of Venezuelan oil revenues flows into. Fonden has absorbed US$100bn of Venezuela's oil revenues since it was founded in 2005. Fonden has been funneling cash into hundreds of projects personally approved by Chávez but not reviewed by Congress. 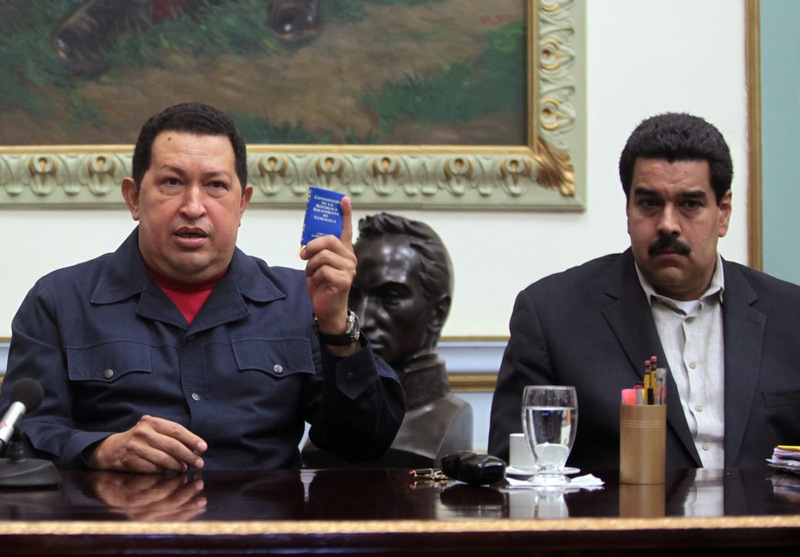 One of the first democratic acts Chávez did after he became president was implementing a new constitution. It was drafted in mid-1999 by a constitutional assembly that had been created by popular referendum. The new constitution called "Constitución Bolivariana" was ratified by popular referendum 5 December 1999 and approved with a 71.78% "yes" vote and came into full effect 20 December. Among many other new articles, the new constitution introduced two more powers: the electoral branch an the citizens' branch. From then on Venezuela's democracy began to deteriorate. Surprisingly, all deteriorations of Venezuela's democracy were contrary to the new constitution. Judicial independence was slashed down since 2004. The Supreme Court was filled with political allies of the president, and gave the executive branch the power to evict justices whose rulings didn’t mesh with the Chávez’s imperatives. In 2010, Chávez-aligned legislators changed the rules on judicial nominations to allow the appointment of a slew of Chávez-aligned judges. The independent media have been under pressure by Chávez since 2006. Since 2010, a session of the Venezuelan National Assembly granted Chavez broad new powers, the President has effectively been able to legislate by decree. Chávez has promulgated over 20 legislative decrees since. While Chávez improved the Venezuelan electoral system very much, the CNE electoral council still made it possible for Chávez to commit electoral fraud at the 2004 recall referendum and turn a blind eye at Chávez' 2012 pre-election fraud. The defensor del pueblo or ombudsman as part of the constitutional citizens' branch, became more or less a defensor del gobierno. economy. As any petro-state, Venezuela has experienced booms and busts depending the oil market. During the boom period in the 1970’s and 1980’s, Venezuela’s major preoccupation was modernization causing a movement away from agriculture and thus land reform no longer took center stage. During these boom years, already anti-poverty policies meant providing free universal education, free health care, a decent minimum wage, and massive public works projects. Most of these programs would not have been possible without the high oil revenues and therefore suffered greatly when the oil prices plummeted during the mid-80’s through the mid-90’s. During these bust years, the economy of Venezuela suffered greatly, resulting in massive cuts in spending. It was the main reason for Chávez' unsuccessful coup against the Pérez government in 1992. Venezuela has the largest conventional oil reserves outside the Middle East. According to the CIA world fact book Venezuela remains highly dependent on oil revenues, which account for roughly 95% of export earnings, about 60% of the federal budget revenues, and around 30% of GDP. By further nationalizing the oil industry, expropriating oil-installations and raising (PDVSA's) oil royalties Chávez has tried to obtain a bigger slice of the oil profits. Unfortunately his plan backfired. PDVSA became a bureaucratic state within the state of Venezuela and was entrusted to execute all kinds of social programs and tasks. Investments for future oil exploitations were cut back at PDVSA. Foreign investors in Venezuela's oil industry became reluctant because of expropriations. Venezuela's oil production is decreasing since Chávez became president. While the current oil price is historically high (ca. US$ 110-120), it is expected that it will drop this year considerably. The main reasons for this are increasing production of shale oil and gas in the US, increasing production in Iraq and Canada as well as a decrease of demand because of the global recession. There will be friction between OPEC countries and the impact of a price drop on Venezuela's economy and national budget will be devastating. Chávez's efforts to increase the government's control of the economy by nationalizing firms in the agribusiness, financial, construction, oil, and steel sectors have hurt the private investment environment, reduced productive capacity, and slowed non-petroleum exports. Venezuela has been suffering from high inflation rates for many years. The figure has been between 25 and 30 % per year. The high inflation rate led the government to impose price controls. Chávez introduced price control for basic consumer goods to make the effect of continuous inflation more bearable for consumers. However, these basic goods are very difficult to obtain. Obviously the increase in the money supply printed by the central bank isn't matched by an increase in the supply of goods and services. Inflation is just an extra tax that enables the government to pay all its bills at a discount. High inflation and price control causes all kinds of negative side effects for the local economy. For instance it ruins local businesses and producers and increases imports. It creates a black US$ market because all assets and investments are sold and bought in US dollars. In February 2013 Venezuela devalued its currency - the Bolívar - by 32%. This means that during Hugo Chávez’s presidency, the Bolívar has been devalued by a rocketing 992 per cent! US$ exchange rate in February 1999 was 537.88 (Bolívar) and in February 2013 6.3 (Bolívar Fuerte). Chart of the Venezuelan Bolívar against the US Dollar during Chávez. The VEB became in January 2008 the VEF. and this created the US$ black market. The 5 plateaus in the chart resemble devaluations. National reserves are below of what the central bank itself has defined as the “optimal level” of $26.8bn, and although they are still substantial, liquid reserves are low (currently about one and a half month’s worth of imports) since about three quarters of the central bank’s reserves are held in gold. But Venezuela is also selling considerable portions of its gold reserves since 2010 in exchange for dollars that are needed for imports. Financial analysts are often referring to Venezuela's economy as "unorthodox". What they mean to say is that's a big mess. There seems no plan and a very short (populist) horizon. Either Chávez' economic advisers are incompetent or Chávez isn't taking their advice seriously. It is said that Chávez doesn't talk to advisors at all anymore. If the oil price drops and nothing changes, Venezuela's economy will come to a stand still very soon. Venezuela could raise its public debt by use of global bonds at an unattractive interest rate of 14.7% to be paid in US dollars. But it's cheaper to loan from China. Venezuela has borrowed US$42.5 billion from China Development Bank since 2007. US$ 20 billion of these monies were used for housing-projects, powerplants and railroads, all build by Chinese state companies like Citic and Sinohydro. These loans have to be repaid with future oil shipments, US dollars or Renminbi. If Venezuela can't deliver/repay (in time) for instance because of chaos, sabotage and/or strikes at oil installations, China will undoubtedly negotiate a better oil-deal with possibly more concessions and less royalties. This chaos scenario is not unthinkable to occur after Chávez has died. Presently a new loan of $ 4 billion is negotiated with China. What Will Happen After Chávez? If Nicolas Maduro wins the new elections we will get more of the same. The economy and democracy will even more detoriarate and the economy will probably come to a stand still. If Henrique Capriles wins the election, the economy will improve. But in both scenarios Venezuela will be in serious trouble, especially when the oil price drops. And probably not only Venezuela. In the 2012 presidential campaign Henrique Capriles said he wanted to stop all foreign aid to ALBA countries, stop the PetroCaribe program and demand repayments on oil loans totaling to US$ 110 billion. Chávez gave the poor of Venezuela a voice and a vote. Capriles can't ignore this and he probably won't as he already said in his 2012 campaign. However under Chávez corruption, violence and populism flourished abundantly while the democracy and economy became deteriorated and the country became divided and polarized. This can't be repaired in 6 or even 12 years. Privatizing and untangling PDVSA, making it agile again and boosting oil production with the help of foreign investors will be very difficult and time consuming. The boligarchy will probably survive and become just oligarchy under Capriles.